HYPE is a relatively new name on the apparel scene. What started as an idea by two friends at university has grown into a very successful business. In their short presence within this industry they've made a huge splash with their expressive and creative designs. Their products are now being stocked within the reach of most people within the UK: Topman UK, Foot Asylum and dozens of independent retailers are stocking their products and, of course, you can also purchase HYPE apparel via their own website. HYPE's presence across the world is sprouting, particularly within the USA and Australia. We have been using the HYPE backpacks for a few weeks as our daily carriers. They're available in many bold and exceptionally original designs and retail for £25. We have the Vintage Animal Print and the Tri Nature designs, the latter has been complimented on many times in public, with people quizzing us where they can buy the bag and who exactly made it? 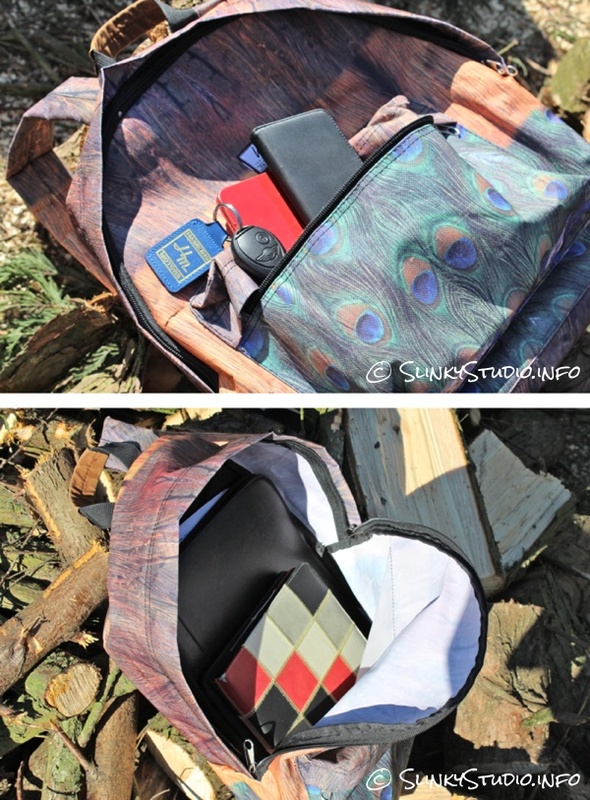 We like the design too, it's a courageous tie-die-like design, with inspiration from peacocks and other parts of nature energetically spread around the bag. HYPE actually use this pattern for some of their other apparel items. The Vintage Animal Print isn't as bold, but animal lovers may enjoy its calm print design. HYPE Backpacks are made from 100% polyester. It wears well, is relatively rain repellant and is easy to clean. We've been using it on a daily basis for weeks, so we can testify that it's resistant to good hard wear. The shoulder straps are adjustable and lightly padded. The side of the backpack which rests against the back is also padded. Comfort is good, although perhaps the padding could be thicker for added support when dense weight is packed within the bag. But generally the size, price and level of comfort is well suited as a school bag or as a nifty on-hand commuter bag. The HYPE Backpack has simple storage options and access. A zipped compartment is located on the front of the bag, suited for storing things like a smartphone, headphones, a pencil case, etc. The main storage section of the bag has two zippers and is the same height as the bag. So you can store books, folders, a DSLR camera, clothing, etc in here. If you're looking for a practical and affordable straight to the point backpack, that you can throw around a bit whilst also having buckets of uber unique expressive style and design, the HYPE Backpack could be for you.